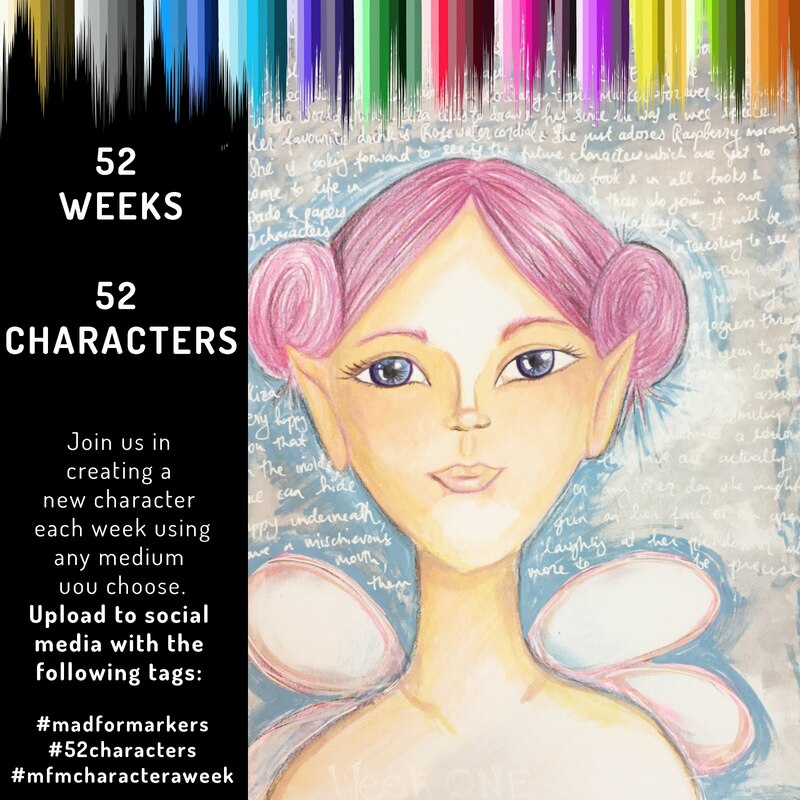 Hi Jac here with a little more inspiration from the Digi DT. 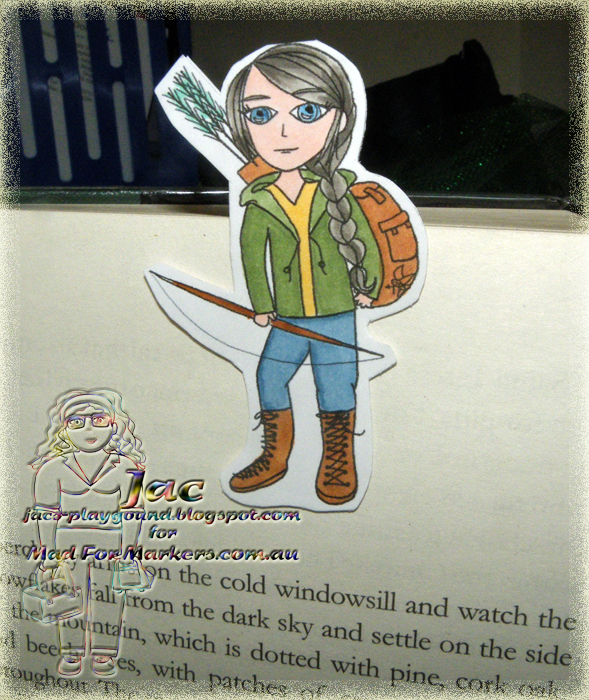 Today I have made a simple bookmark using the wonderful Katniss from the Hunger Games which is available at the Mad For Markers Store. When I say simple all I did was print the image onto a long narrow scrap of card I had, coloured her in with my copics and then folded the card at the head end, cut around leaving a small border and being sure not to cut completely across the fold! Then I added a couple of strips of s/a magnet and hey presto 1 bookmark. So Katniss is now poking her head out of Ria's latest book only she doesn't know about it yet as she is at school so will have to find out what she thinks tomorrow as I'm on the late shift tonight!